Now more than ever, workers are experiencing the evolution of moving from a traditional office layout to an open floor plan. As creatures of habit, this process can be daunting. However, with thoughtful design and planning, open offices can feel more natural and intuitive than you might think. At least that has been my experience working in an open layout for the past year. I came to Red Thread from a very traditional office. I had my own dedicated workstation next to my immediate team and every manager had their own private office. I ate lunch at my desk every single day as it was the only place that I felt comfortable. When I was away from my desk in a meeting or picking up lunch, I could not wait to get back. My desk became my security blanket. Collaboration was at a minimum, and creativity was stifled. This all changed when I started working in the Red Thread Boston Worklife Center. When I first started at Red Thread, I instinctively sought out areas with more privacy, like the Brody WorkLounge, or areas that were less populated. For the first few weeks the Brody became my comfort zone, similar to my old workstation. However, I eventually felt comfortable enough to branch out and I began to slowly sit in more populated areas, eventually making my way to the Frame One tables. This is a very vibrant and active area of the office, where people from different departments all interact and sit together, regardless of hierarchy. While I was initially apprehensive about moving to a communal area, I found that my daily life and interactions began to change. By immersing myself in the environment, I started to talk to people I may not have ever met in a more traditional setting. I became more in touch with what was going on within the company, I began eating lunch in the workcafe, and I started to have more fun at work. While some people question the effectiveness of open office layouts, my experience at Red Thread has shown me that a well-designed open office is very impactful on employees. Open offices should make smart use of the space and address the various needs people have throughout the day. In addition, it is important to allow people time to get used to new ways of working, as I personally experienced. That being said, since there is no one-size-fits-all solution to an open office layout, there are a few key elements that should be kept in mind. These elements will ensure the design fulfills its potential and gives people what they want. The most functional and effective open offices find a way to seamlessly incorporate a variety of spaces for different needs. Providing areas to collaborate, socialize, rejuvenate, and focus are key to accommodating the different types of work people do throughout the day. An often overlooked element of an open office design is privacy. Lack of privacy is one of the key reasons that some people are not happy working in an open office. 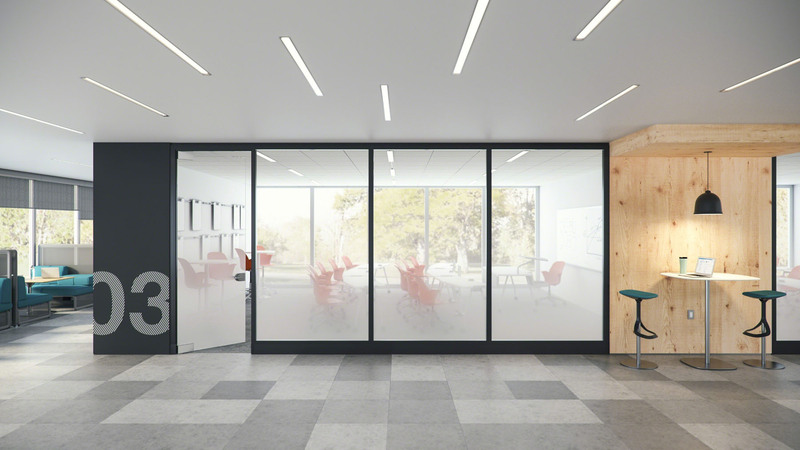 Without individual stations or private offices, both acoustical and visual privacy are incredibly important. Sound masking and Privacy Walls are a great way to ensure visual and acoustical security so people can relax and focus on the task at hand. Sure, open offices look cool, but they are not always comfortable or physically conducive to getting work done. In order to ensure people enjoy the space and remain productive, designers need to pay close attention to ergonomics and usability, making sure each space supports the type of activity intended. If a space is not comfortable, nobody will use it. Solutions like the Hosu Lounge by Coalesse are perfect for providing personal space and comfort. Everybody knows the frustration of trying to get technology to work properly. It’s important to provide technology that is smart, connected, and easy to use so that people can be as productive as possible. 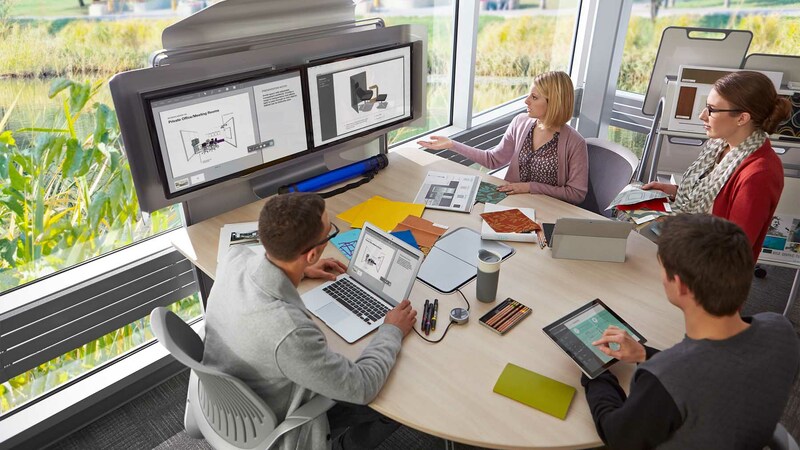 Media:scape by Steelcase brings technology, people, and information together in an effortless way. Another important, but often forgotten, element to an open office is individual storage. Without individual workstations, people no longer have their own space to store their purses, gym bags, or snacks. Providing spaces for people to place their personal belongings is important for comfort and satisfaction. 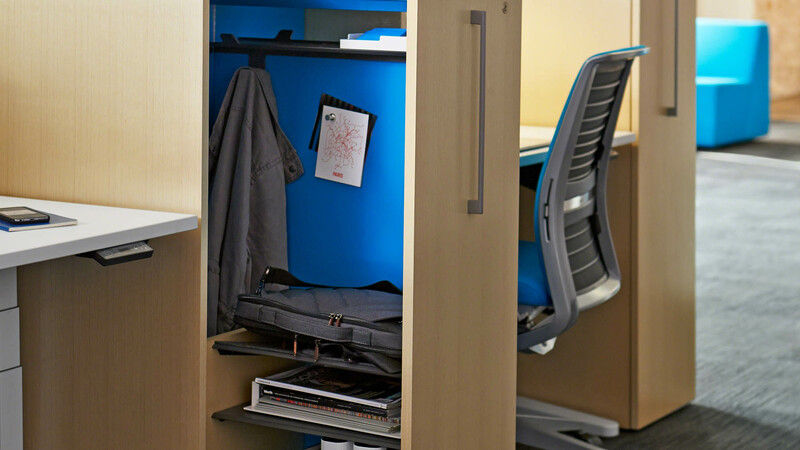 Incorporating solutions like High Density Storage by Steelcase is a great way to offer ample personal space and privacy. When an open office is designed to support all types of activities, while remaining comfortable and easy to use, the space sets people up for success. I speak from experience when I say that there is truly a sense of community and collaboration when an open space is well-designed and utilized to its full potential. Is your workplace compliant with breastfeeding laws?